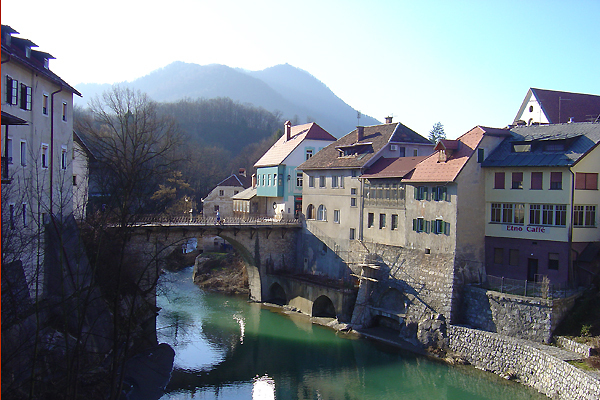 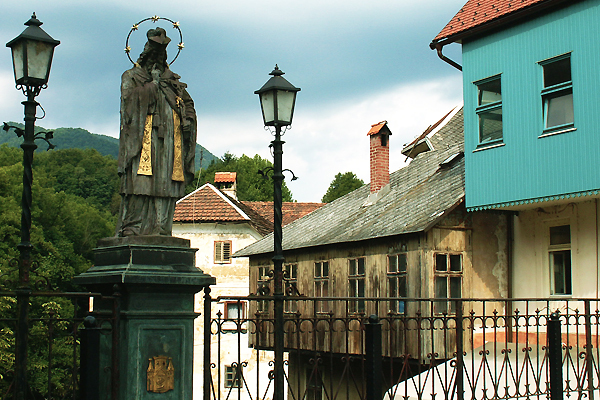 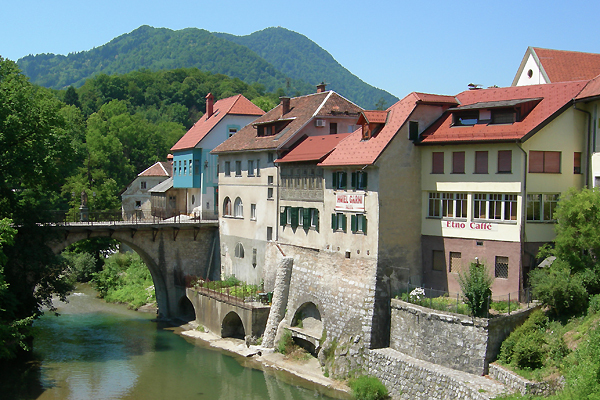 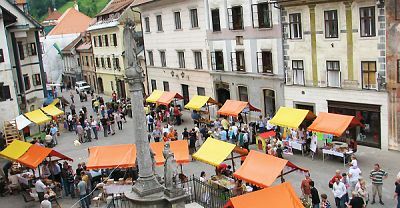 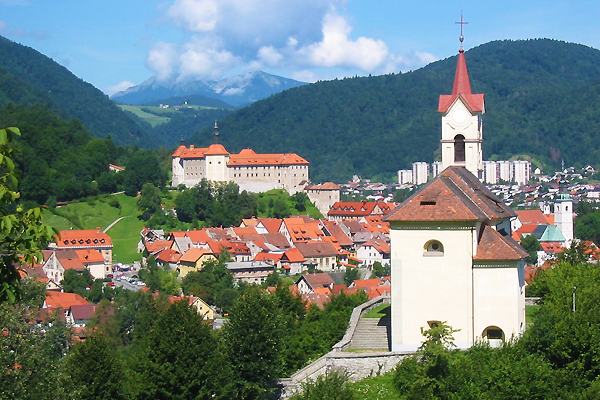 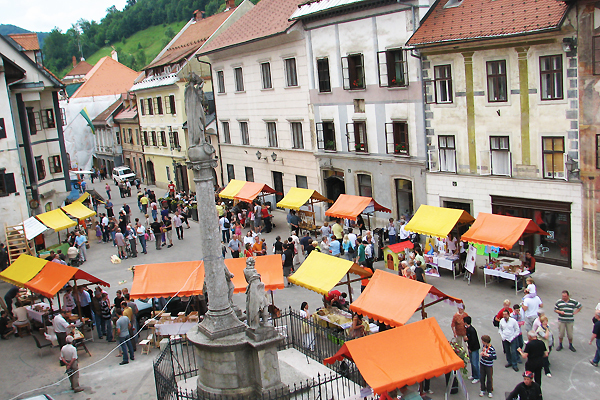 Considered the most beautifully preserved medieval town in Slovenia, Škofka Loka dates back over 1,000 years. 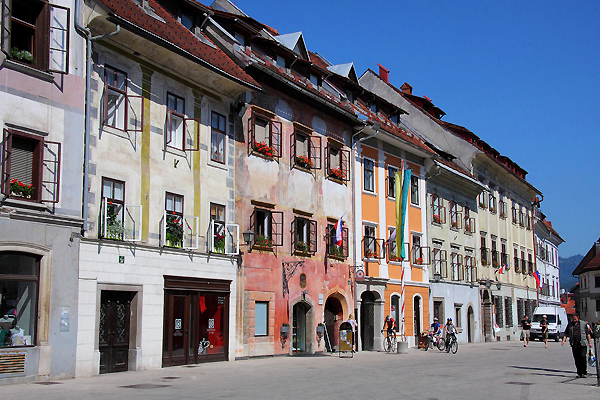 For 830 years it was owned by the Bishops of Freising, who left a permant mark on the city. 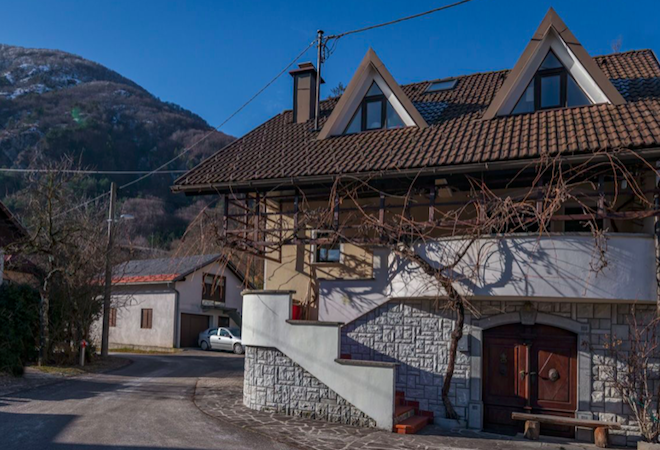 Positioned at the confluence of the Poljanska Sora and Selška Rivers, it is rich with cultural heritage, beautiful unspoilt nature and captivating charm. 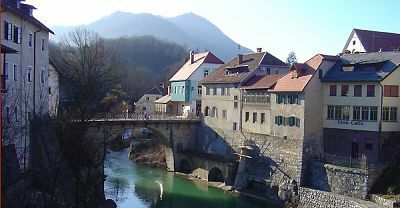 The town was walled in the 14th century and much of it was later damaged by fires in 1660 and 1698. 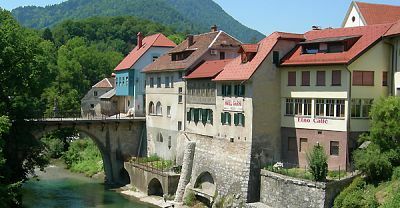 Eventually the walls become obsolete and along with the town gates were mostly removed in 1789. 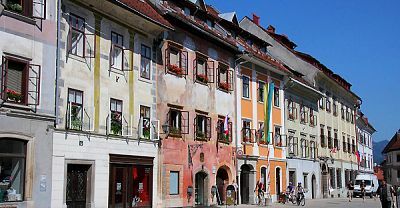 The town was occupied by Italian and German forces during the Second World War and is the site of seven known mass graves from immediately after the war. 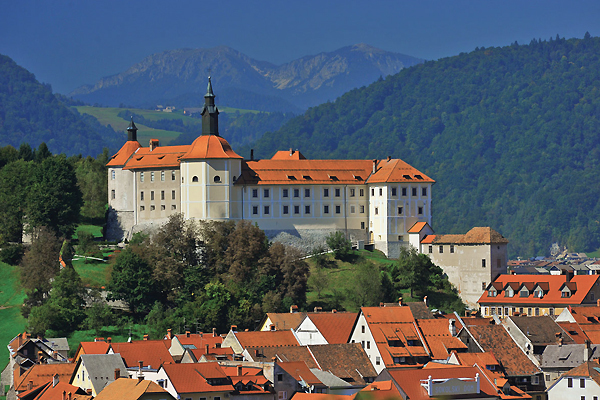 Overlooking the town is Loka Castle which was built before 1202 for defence purposes and then later became the home of the bishop's governor. 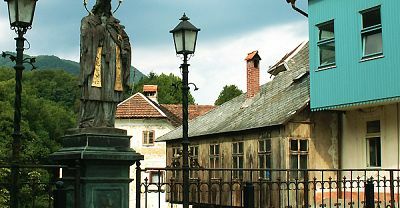 Ownership of the castle was assumed by the town in 1959.